When I think of Hong Shing restaurant, I’m reminded of university and plates of Mussels with Black Bean sauce at 3am. 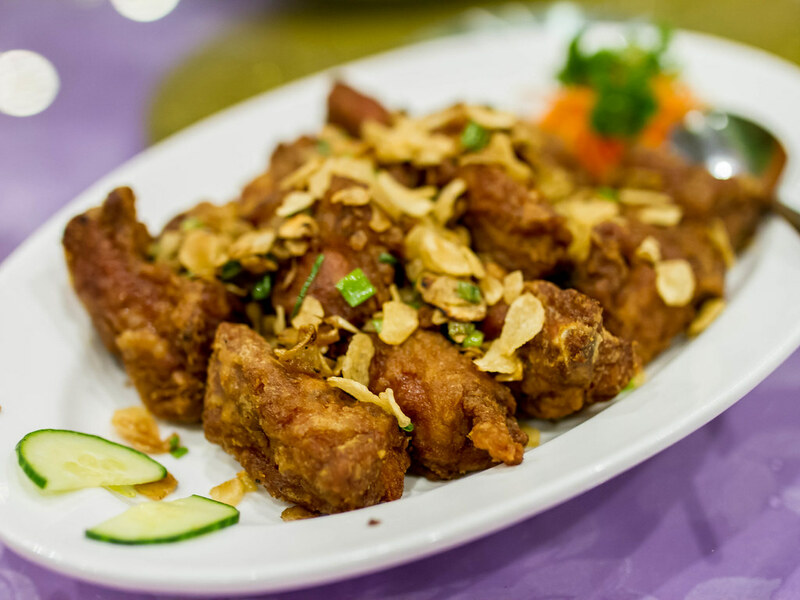 Hong Shing has been a cornerstone of Chinese food in downtown Toronto for nearly 2 decades and home to the city’s best General Tao chicken. While the restaurant has aged over its tenure, over the past year, an evolution has been in progress. The first step was renovating the dining space and getting rid of the plastic table clothes. 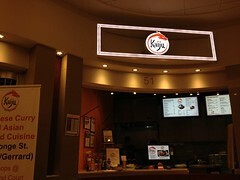 Next, was a modern update to the faded store front sign. Did you know the original used to be red? It wasn’t always pink. 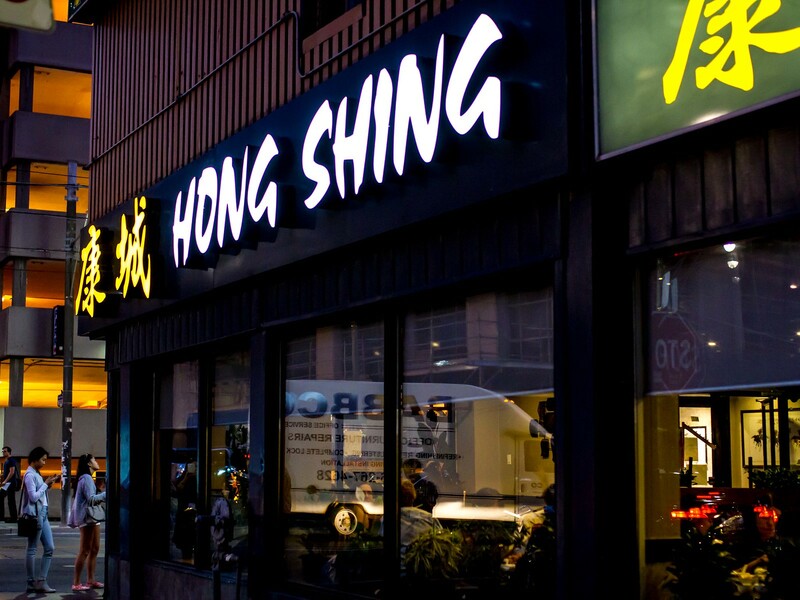 The new Hong Shing sign is a contemporary design in yellow and black. With all of the changes, one thing’s stayed the same, the delicious, crave worthy, Chinese food. I was invited to a Foodie Event at Hong Shings by the owner Colin. Almost 30 of us foodies took over the private room on a Friday night and indulged in an evening of food and wine. Yes, wine. Colin is currently working towards his sommelier certification and matched each Chinese dish with a delectable bottle. 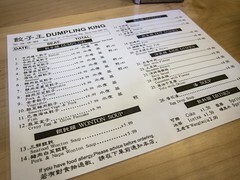 He’s hoping to expand the wine list at Hong Shing and based on his selections that night, I can’t wait. 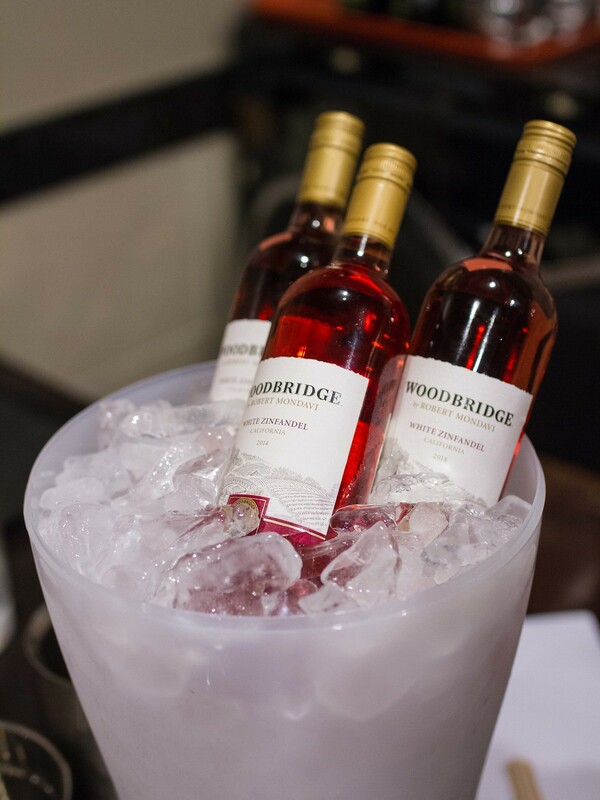 To complement the strong flavours in the food and smokiness from the wok, the wine pairings leaned towards light and fruity. Lots of Zinfandels and Rieslings. My favourite was the Gewürztraminer Alsace, which had a strong lychee taste, perfect to offset the deep fried dishes. There’s a reason Hong Shing has been successful for 20 years with increased competition in the neighbourhood, the food is really good. 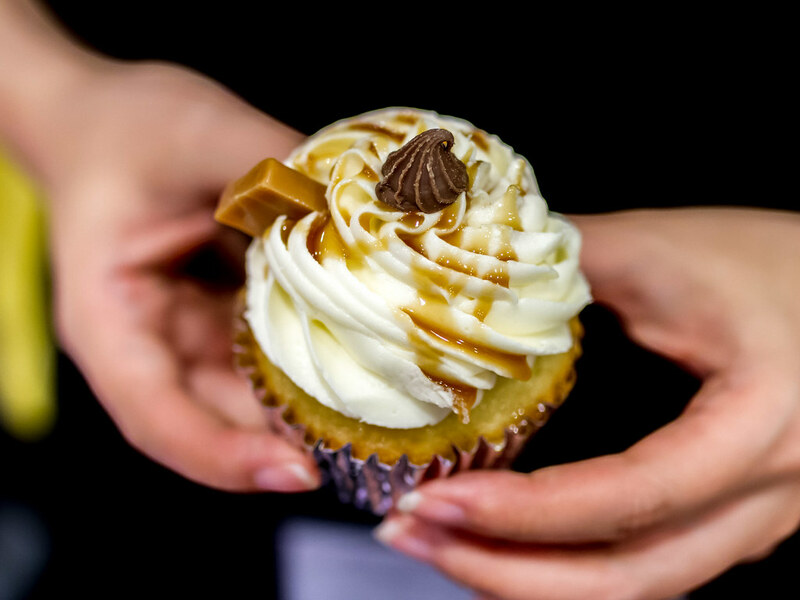 We were treated to a 9 course feast, plus cupcakes for dessert from Annie’s Oven. 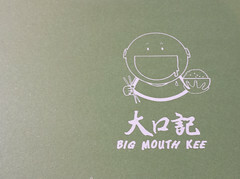 Many of the restaurant’s most popular dishes are of Westernized Chinese food, favoring sweet and in a Cantonese style. 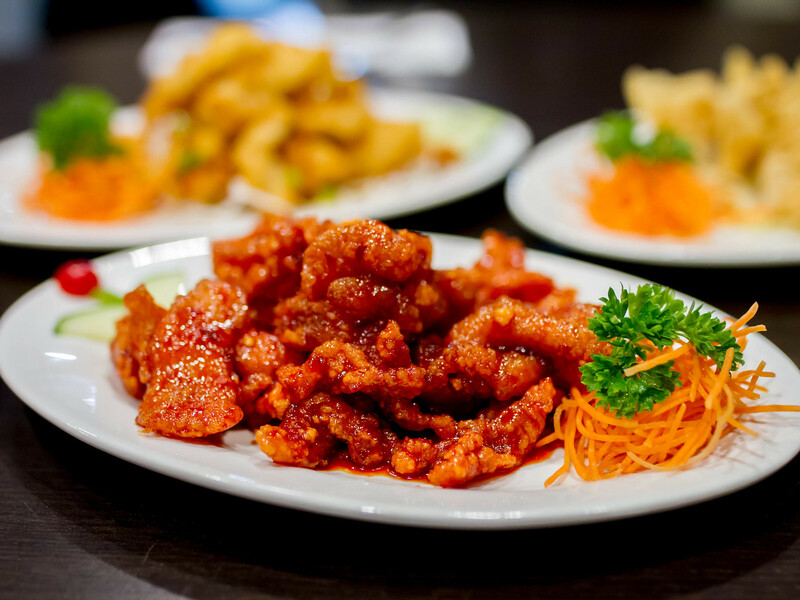 Hong Shing pulls off these deep fried dishes without being greasy, using fresh ingredients and perfecting their fryer game. 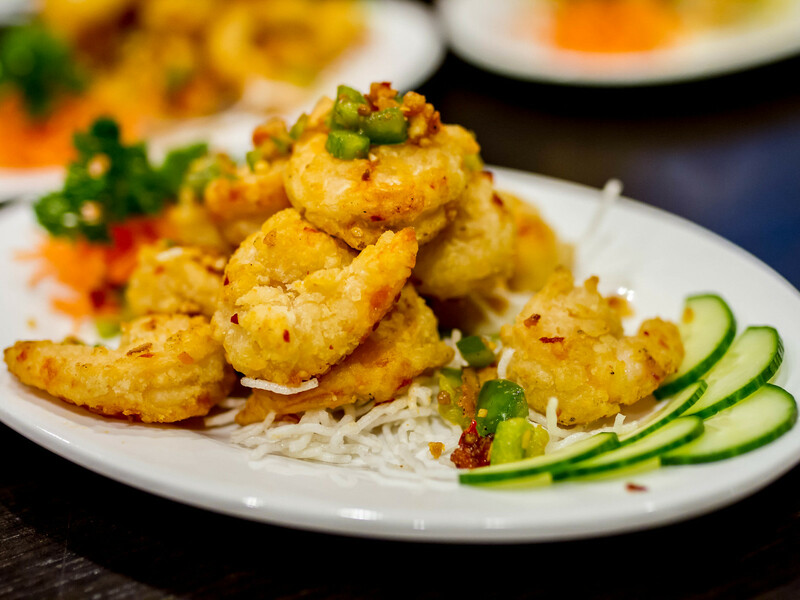 Dinner kicked off with Crispy Shrimp Wontons and Deep Fried Shrimp. 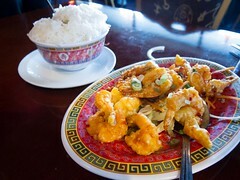 The wontons were filled with shrimp that had been marinated overnight and served with a sweet and sour dipping sauce. 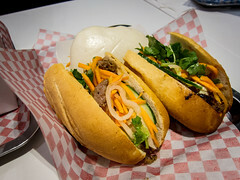 Each bite was flavourful and crunchy. Next was the General Tao Chicken, which managed to stay crunchy under a thick coating of sauce. 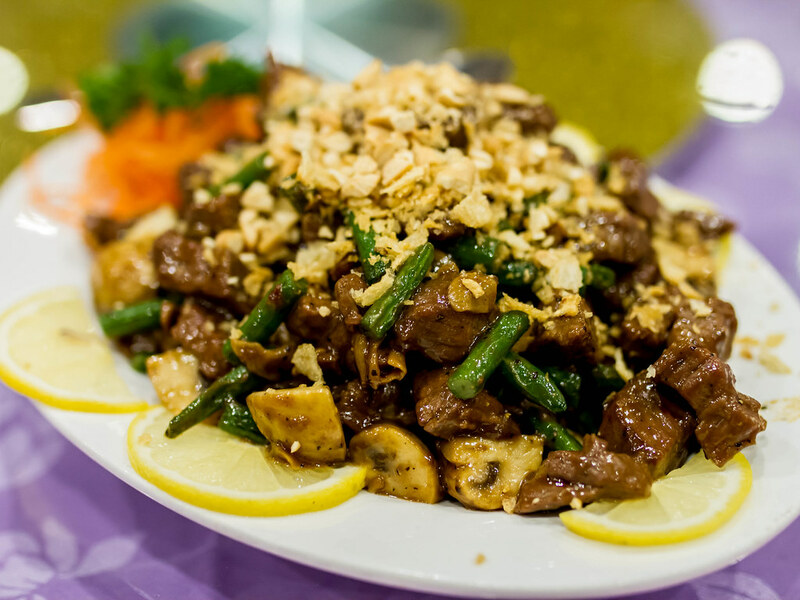 This dish would be perfect with a bowl of steamed rice. Our last fried dish was the Crispy Garlic Ribs. Tender pork ribs, battered, deep fried and showered with fried slices of garlic. Each rib was well seasoned and juicy. I loved the garlic bits that added a ton of flavour. 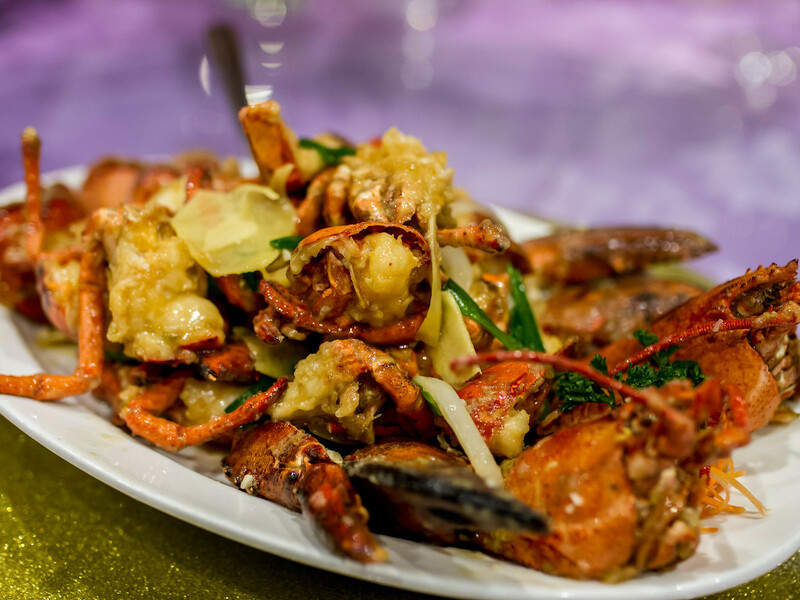 Moving away from the fryer, twin lobsters were served Cantonese style in a ginger, green onion sauce. The seafood was fresh, soft and the sauce finger-licking good. The Hubby commented that this dish was almost identical to his mom’s version, a high compliment. Next, was a plate of Sizzling Beef with Vegetables in Black bean sauce. The meat was tender and the button mushrooms and green beans were cooked to just done, retaining their natural texture. I liked the strong black pepper flavour of this dish. 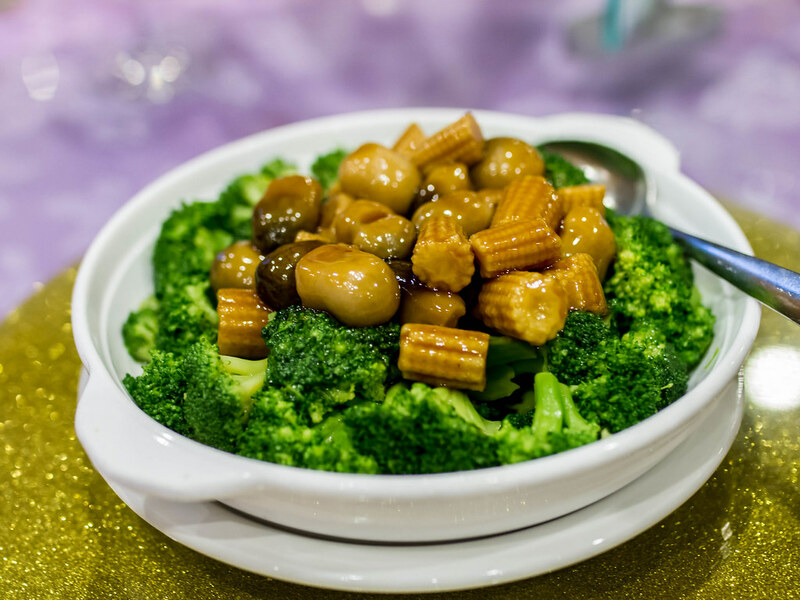 Continuing with vegetables, the next course was Braised Broccoli, Corn and Mushrooms with oyster sauce. Again, the vegetables were vibrant, crunchy and saucy. Mushrooms with oyster sauce is always a good flavour match. For carbs, we were served Cantonese Chow Mein and Fried Rice. For me, both these dishes are staples and challenging to execute well. 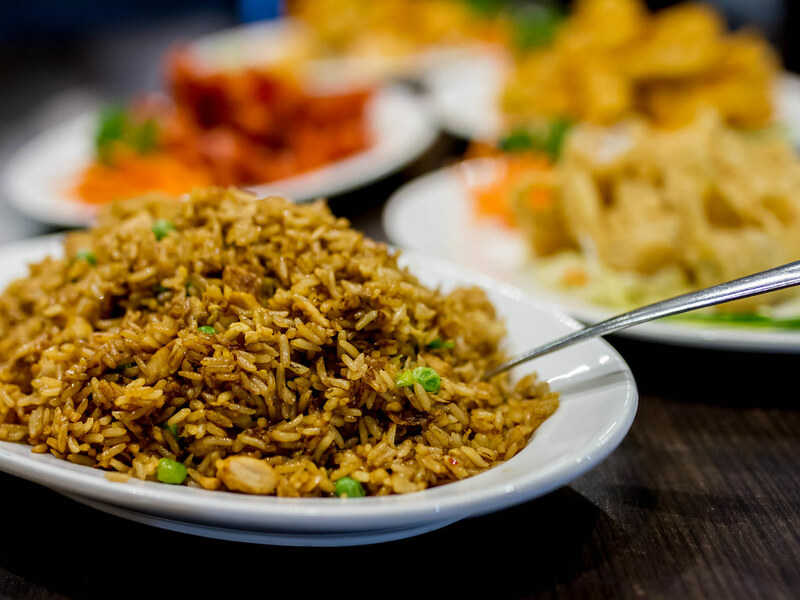 The noodles have to be crispy, served right away before the sauce softens them and the rice needs to be dry enough for each grain to be discernable while still moist and soft. Hong Shing did a great job with both. 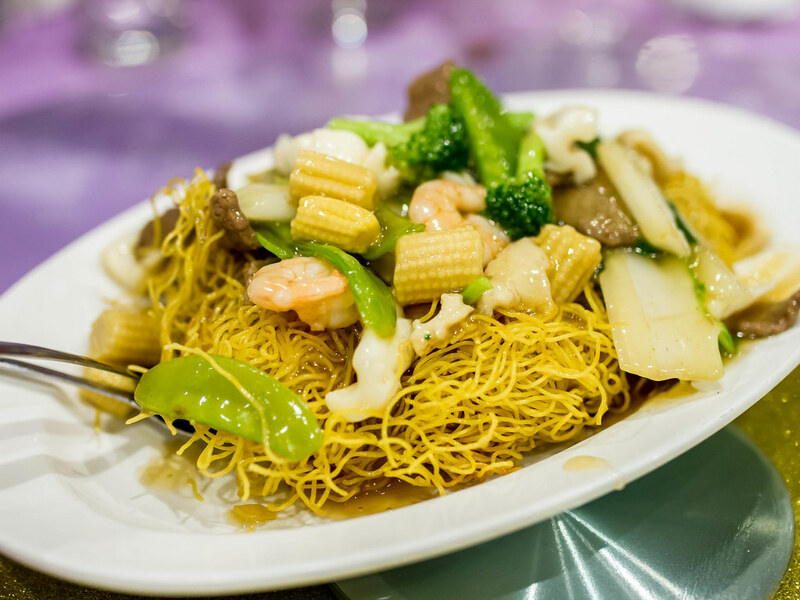 On a street booming with new Asian restaurants, Hong Shing is still a staple. 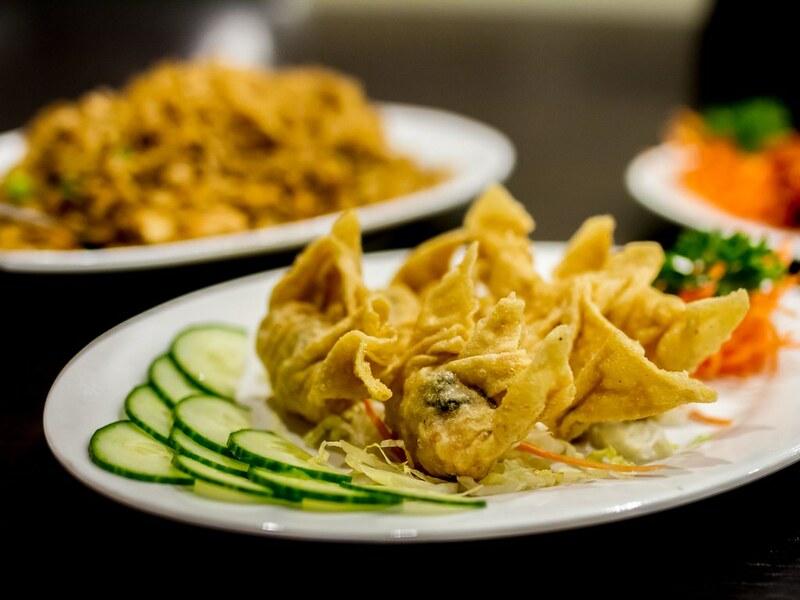 Offering good value, great tasting Chinese food late into the night (open until 5am Fri-Sun night), they’re hard to beat. As Colin continues to evolve and grow the brand, I only wish I still lived a block away.